An Office AddIn is essentially just a manifest XML file that tells Office the location of your web application. You'll want to start with one of the existing manifest examples otherwise you may be missing components required to get your AddIn published in the Office Store. You will need to provide a link to your web application as well as icons in the size of 12x12, 32x32, and 80x80. Look through the example manifests and you should have what you need to get started. I recommend creating two manifests: one for debugging locally and one for production use. When you debug locally, you can simply run ionic serve and load the AddIn from the AddIns menu in Word (or whatever app you are targeting). Create an Ionic app using ionic start and selecting the appropriate options. I used the tab template and it works pretty well. Once you project is created, you can start adding your code. First, we add the reference to the office.js library to your index.html. The Office Store requires you serve it from the CDN. // Create a proxy object for the document. // Queue a command to get the current selection. // Create a proxy range object for the selection. // Queue a command to replace the selected text. I find the easiest way to apply formatting in your word document is to use HTML. Word will interpret it appropriately and format your content. You can develop Office AddIns in Windows, OS X, an iPad, or in the browser with Word Online. The same API works for all hosts of your application. However, you need to pay attention to which API you use because some are supported in different versions of the Office client (2013 vs. 2016). You need to test them your AddIn on all platforms to verify that it works correctly. Windows of all platforms gave me the most trouble because Internet Explorer gets used as the backend for Office AddIns. I also had some issue with the formatting on some inputs and they didn't render correctly in Word 2016. You'll need to deploy the code for your app somewhere so that you can publish your app to the store. This entails adding the browser platform to cordova and then doing a production build. You can read my steps on how to run an Ionic PWA using Azure Web Sites for more details. If you aren't hosting in Azure, the steps are pretty familiar still. To do your final build for production, you will run the following command. You'll then copy the contents of your platform/browser/www/build folder to your production server. Now update your manifest to point to that new server location and you're ready to go. Once you validate it works, you can begin the Office Store submission process to get your app in the store. Here is what my app looks like after it has inserted a table listing the beer menu at a restaurant. Sorry for the lack of code formatting today. I don't have a working solution to post code effectively currently. Once I scrub some of the code, I'll post a repo with the complete solution as well. 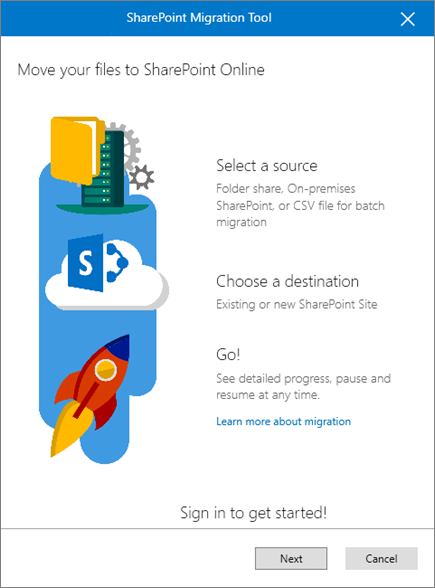 I started doing SharePoint Conference readiness checklists back at SPC11 and I wanted to update it for Ignite 2017. This list may look similar to previous lists, but I have made lots of updates and additions. Chargers / Power Supplies – I remember when I went to PDC05 (wow I am getting old), I forgot my laptop charger. I was quite bummed. Don’t forget the chargers to your laptop, Surface, phones, table, etc. I have gotten a few of these new emergency phone chargers at conferences lately and they are very handy here. Keep in mind your average day can be 16 – 18 hours plus and you don’t want to be left in the dark and miss that big gathering because your phone died. Besides, you can’t summon a Lyft if your phone is dead. Don’t forget chargers for any accessories like Fitbits, Apple Watches as well. Snacks and Water – After a long night, you will want something to eat. At the minimum, you might want something to eat in the morning. The hotels will likely have stuff in your room, but it will cost you dearly. Stock up whenever you see them available. Hydrate! Bail Money – The Houston SharePoint Users Group has a running joke about always keeping a stash of bail money around when attending a #SharePint. You never know what is going to happen. If you’re following @SPCPartyPatrol to all of the parties you might certainly need it. Headset – If you think you are going to have to take any calls during the week, don’t forget your Bluetooth or wired headset. This will make it easier to do your calls for sure. Arrive early – Come in early and have some fun in Orlando, before you get into the conference grind. Many of us will be arriving Friday or Saturday. I tend to arrive on Saturdays while most of the foreign nationals I know, tend to arrive Friday or earlier. Don’t leave early – Normally I say this, but they have extended the conference by a day. Come Friday, I’ll be ready to be on the first plane out of Orlando. Get on Tech Community - The conversations have already begun about Ignite on Tech Community. This is a great way to find out what other people are doing, network with others, and talk with people with similar issues. Most importantly, you can have a conversation about the sessions while they are occurring. Follow @MS_Ignite on Twitter – @ms_ignite is the official twitter account for Ignite. This account often posts useful stuff about the conference. I’ve also used it to ask questions or provide general feedback and I’ve had very good luck getting a response. Keep in mind this twitter account is effectively manned by one person though. RSVP for Parties – Unfortunately, if you haven’t RSVPed for parties by now, you’re probably out of luck. However, being persistent can get you in. Talk to the vendors in the exhibit halls hosting the parties. Sometimes you can just show up and talk your way in. Be sure and follow @SPCPartyPatrol to find out where the parties are too! Arrange for Ground Transportation - Don’t forget to arrange for ground transportation. You really don’t need a car in Orlando, but you do need a way to get there. Taking a taxi or Lyft usually isn’t too expensive and there are plenty of shuttle options as well. This may be less of a concern on arrival but more for your departure. Update your devices - Now is a great time to make sure your devices are up to date with the latest security patches. Make sure they are charged too! If you have an iPhone and you haven’t updated to iOS 11 yet, do it now! Don’t be one of those people downloading 2 GB worth of updates on the conference WiFi. What happens in Orlando, will not stay in Orlando– Nerds have gadgets and they like to take pictures. Do something stupid and you can rest assure it will be on twitter or Instagram within seconds. Go to the evening events - I can't stress this enough. Try to avoid team dinners that overlap with the events. Get them rescheduled or skip them! The evening events are where the real connections are made, friends are found, contracts are signed, and new jobs are discovered. If you just go to the conference and nothing else, you are missing out on half the experience. Don’t forget your badge (and lanyard) at the attendee party – You’ll need your badge everywhere you go. Bring it and the lanyard if they aren’t doing wristbands.